The federal government is on the wrong side of science over medical marijuana. Until that changes, there’s no chance for legalization. Colorado’s newly-passed Amendment 64 contemplates a brave new world in which adults in the state will be able to lawfully smoke small amounts of marijuana purchased from licensed (and heavily taxed) local retailers. But that world isn’t even scheduled to begin until 2014, and only then if there are significant changes in the many assorted ways in which federal law criminalizes recreational marijuana possession and use. There is the legal component to the issue. There is the political component to it. And of all the paths forward there is one that is clearest and the most fair. What are the odds that it is the one Washington now chooses? Since Colorado (and Washington state) legalized the use of recreational marijuana last week, the national conversation about what comes next has focused primarily on the obvious conflict between federal and state authority. On the one hand, we have the Controlled Substances Act, the venerable federal statute that for the past four decades has labelled marijuana as a “Schedule 1” substance on par with heroin. And on the other hand we have a clear policy choice made by voters in the election of 2012 that marijuana should be treated like alcohol. There’s been a rebellion out west, in other words, which the feds are destined to win. But there is another conflict here that’s been splayed open by the ballot initiatives, one which is more fundamental to the future of lawful marijuana use than any argument the feds will now use to stop the state initiatives. It’s the ongoing conflict over the science of marijuana, over the quality of proof of its medicinal values, which is central to the coming court fights. Until the Drug Enforcement Administration changes its marijuana classification, until lawmakers recognize its therapeutic uses, reformers like those in Colorado and Washington will be crushed in court. The federal policy choice on marijuana’s classification is the horse. The Justice Department’s coming use of that policy against the states is the cart. And that’s why the timing of the state initiatives is so compelling. Just last month, a few weeks before the election, a panel of three federal judges in Washington, D.C., heard oral arguments in a case on this very point called Americans for Safe Access v. Drug Enforcement Administration. The feds say that studies of the virtues of medical marijuana are not rigorous enough to warrant a change in DEA policy. The reformers say there is enough proof, and testimony, to justify the change. Their judgment. The Colorado and Washington initiatives are the most forceful and populist responses yet to the antiquated judgment of DEA policy makers. The state measures also are a repudiation of Congress’ discriminatory marijuana laws and the law-and-order lobby’s priorities. And even if the new state laws stand today on poor legal ground–let’s face it, they do–the success of the initiatives out West already has sent a strong political message to Washington on marijuana policy: You can’t go back. You can no longer stay still. The only choice left is to figure out the smartest way to go forward. Something’s gotta give. Right now, a White House that prides itself on being on the right side of science when it comes to global warming is on the wrong side of science when it comes to medical marijuana. Right now, a Congress that praises states’ rights is hampering the ability of states to experiment with new sources of revenue. Right now, the federal government in all its forms is taking a position which may have made sense in the early 1970s but which is now directly at odds with the testimony of thousands of military veterans who say marijuana helps ease their pain. The Colorado and Washington measures aren’t likely a tipping point for marijuana legalization. But they may be a tipping point toward a federal drug policy that recognizes that marijuana is different from heroin–and even that would be a long-overdue step in the right direction. The Justice Department soon will challenge the state initiatives in court and the feds almost certainly will win. No federal judge wants to be the one to declare marijuana “legal” before Congress or the DEA does. What the White House ought to do in the meantime, however, is demand a broad new review of the federal government’s marijuana policies. At a minimum, such a review ought to embrace the following truths, which appear to millions of Americans, including millions of young people who came out to vote for President Obama, to be self-evident. The Controlled Substances Act didn’t come down from the mountaintop. Marijuana’s “Schedule 1” classification isn’t engraved in stone. And the DEA and its policy experts are hardly the Sanhedrin. Whatever else they mean, the Colorado and Washington laws mean the time has come for the feds to better justify a drug policy that has lost key pillars of its factual and political support. If the administration undertakes this sort of review–“hopefully, the historic in in Colorado will help pressure the federal government to bring a more science-based approach to drug laws,” coyly says Brian Vicente, one of the attorneys behind Amendment 64–it will help insulate the White House from progressive complaints about the coming federal litigation to block the two legalization measures. And it will hardly outrage conservatives, many of whom, like the Koch brothers, support legalization efforts. Such a review, you could say, is the very least the President could do for all those people who came out to vote for him these past two cycles. COHEN: The voters have spoken. Colorado’s Constitution is changed. But isn’t the next step legislation and regulation within the state to determine how it is all going to work? I’m sure you’ve thought about happens now within the state government. As specifically as you can, please walk me through the next few weeks and months. KAMIN: Everything now depends on what the federal government does next. We know that our governor has been in conversations with the Attorney General Holder about what the Justice Department will do next, but so far he has not been particularly forthcoming about what he has learned. If the federal government indicates a willingness to permit Washington and Colorado to proceed with legalization- and I very much doubt that it will–then the legislature and administrative agencies in these states will begin work on how the industry will be taxed and regulated. This should not be a particularly complicated task; Colorado has regulated and taxed medical marijuana since 2010. Little would need to change about this regulation except removing the requirement that those seeking to buy marijuana from a licensed retailer obtain a doctor’s recommendation first. COHEN: The average citizen in Colorado who voted for this Amendment is wondering when she’ll be able to buy marijuana and smoke it legally without a medical certification. Is that completely dependent upon how the coming legal fight plays out? And is the expectation that the feds will challenge the initiative at the point of sale? KAMIN: I think this is the crucial question. The federal government has always had the power to shut down state experimentation with marijuana legalization. Marijuana remains a controlled substance whose sale and manufacture are prohibited by the Controlled Substances Act (CSA). Thus, every sale of marijuana in every state–whether it has legalized marijuana for medical purposes or otherwise–remains a federal crime. The federal government could thus arrest every person who sells marijuana in these states or at least arrest enough of them to make the others reconsider their choices. A less confrontational approach would be to file suit–as the federal government did in Arizona to enjoin the enforcement of SB 1070–to prevent the implementation of Amendment 64. 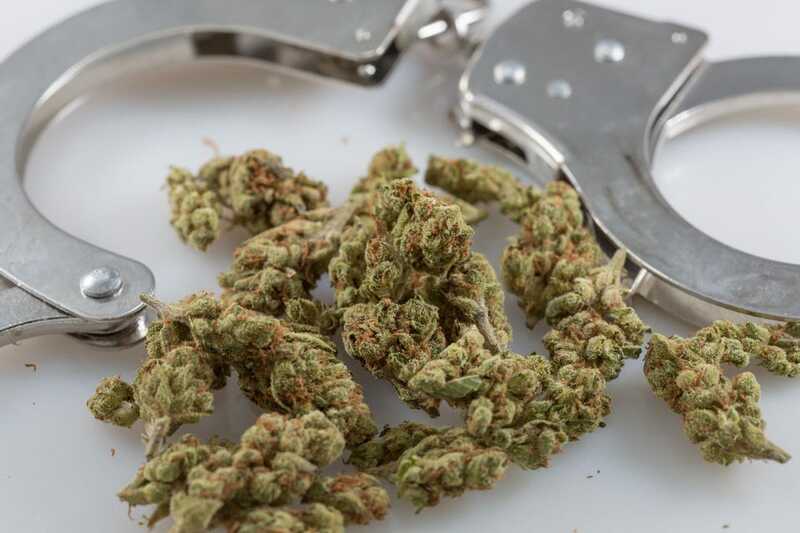 Interestingly, there is little the federal government could do about Colorado’s decision to legalize marijuana–the federal government lacks the power to force the states to criminalize any particular conduct. The states are under no obligation to mirror the CSA or to help the federal government enforce it. Thus, the states may presumably repeal their marijuana prohibitions without running afoul of federal law. However, the second part of Amendment 64–requiring the state to set up procedures for the licensing of recreational marijuana dispensaries–is more problematic. The federal government could allege that such state-level sanctioning of marijuana businesses would constitute an impermissible obstacle to the enforcement of the CSA. Where state and federal law conflict, the federal law is supreme. COHEN: The Justice Department has said since the election that Amendment 64 doesn’t change federal law and of course it doesn’t. Is there any way for the initiative to survive without a change to the federal classification of marijuana as a controlled substance on par with heroin? How can Colorado and Washington (state) move Washington to reevaluate that classification? KAMIN: A little-understood aspect of the marijuana legalization movement is that the reclassification of marijuana would likely prove fatal to the legalization movement. Currently, marijuana is a Schedule I narcotic, a drug whose manufacture and sale are strictly prohibited. If it were re-classified to a less serious category it would then be available as medicine, likely subject to a doctor’s prescription. Of course, such a rule, which the federal government would likely enforce more strictly than it has the current prohibition, would forbid the licensing of recreational dispensaries in the states. 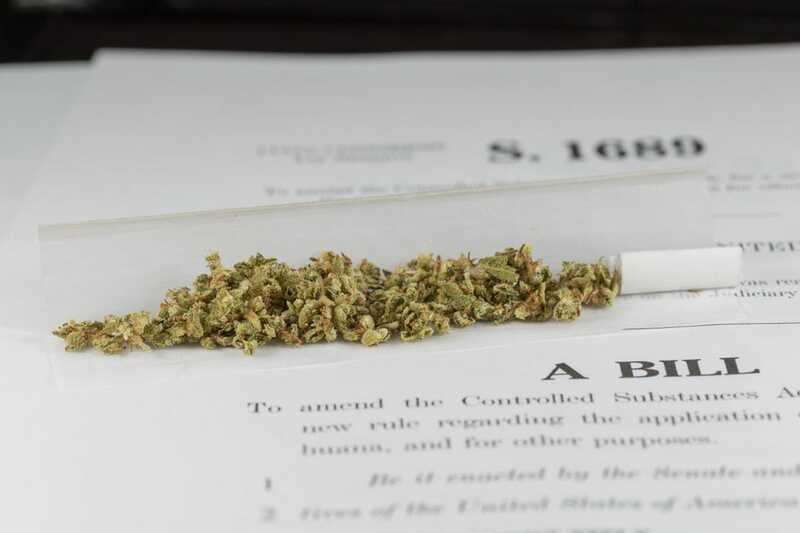 Marijuana law reform has been proceeding along parallel tracks–in the courts, Congress and in the states–and those different tracks are beginning to create tensions. COHEN: Look into your crystal ball. What’s the most likely outcome here? If there is to be a surprise, legally or politically, what do you figure it will be? KAMIN: I imagine we will see something less than the dramatic federal response described above. I imagine the federal government will offer the states a return to the status quo prior to November 6. That is, I can imagine the Justice Department telling the states that it will continue to grudgingly permit the states to continue with medical marijuana but that full legalization is a bridge too far. This was essentially the message that Attorney General Holder sent to the California voters who ultimately rejected Proposition 19 in 2010. It was a difficult message for the Obama administration to send in a presidential election year in a swing state, however. With the election now passed, we may see a repeat of 2010. Like everyone else, though, I’m simply guessing.